• A generating station essentialy employs a prime mover coupled to an alternator. • Prime mover converts some form of energy into mechanical energy. of water at a high level for the electricity generation. • The main requirement is a dam with a high head water content. •No fuel is required by such plants as water is the source of energy. Hence operating costs are low. •The plant is highly reliable and it is cheapest in operations and maintenance. • Such plant are robust and have got longer life. •Highly skilled engineers are required only at the time of construction but later on only a few experienced person will be required. •Such plants in addition to generation of electric power also serve other purpose such as irrigation and flood control. •Its construction cost is very high and takes long time for erection. 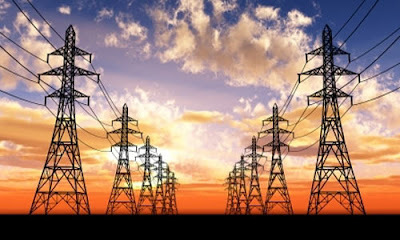 •Long transmission lines are required as the plants are located in hilly areas which are quite away from the load centre. •There is uncertainty about the availability of huge amount of water due to dependence of weather conditions.